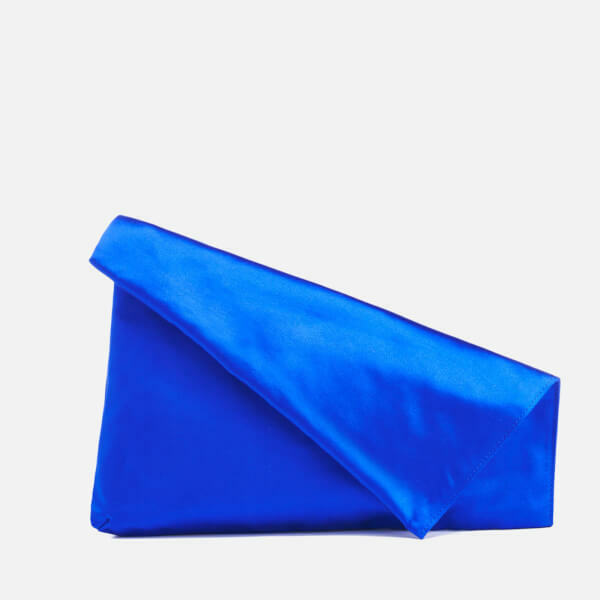 Women’s asymmetric clutch bag from Diane von Furstenberg. 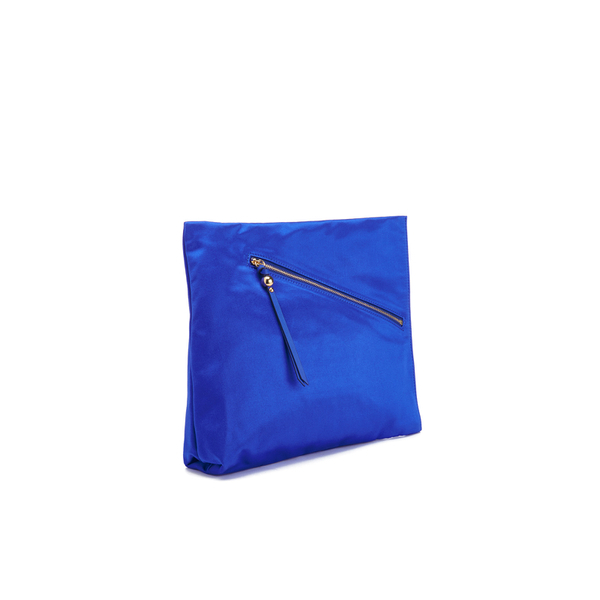 Crafted from a silk blend with a sleek satin finish, the bag comprises a fold over design. 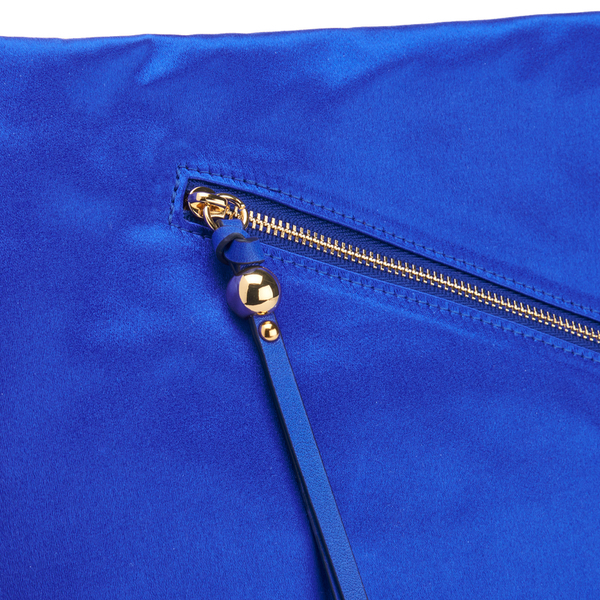 The bag features a front, asymmetric zip fastening with a leather zip pull, and opens to reveal a contrasting interior. 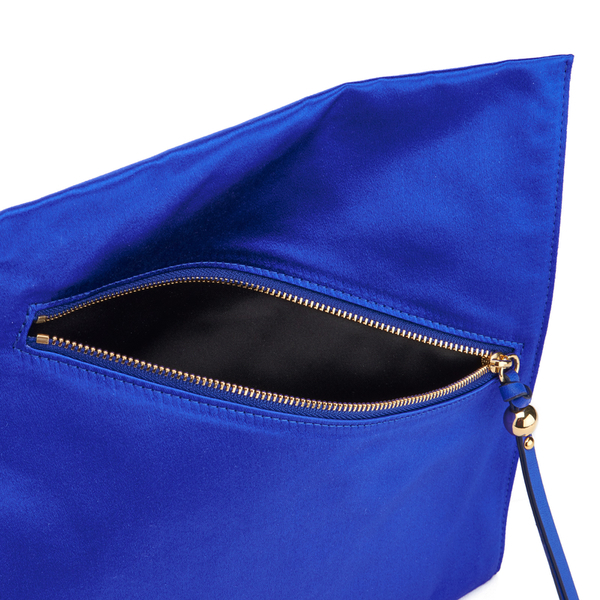 Complete with gold tone hardware.